On Jan. 30, the grassy campus area between Subway and Highlander Printing Services was fenced off, along with a small area outside of Pierce Hall’s North Wing. Within the fencing are a few modular buildings, propped up on the grass. 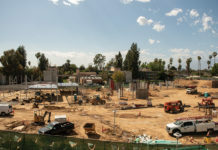 Blythe Wilson, UCR’s Director of Project Management, told the Highlander in a phone interview that the modulars were for Pierce Hall’s construction crew as they began renovating the building. “The renovations will take about two years to complete, in two phases. Phase one is going on right now and is focusing on the North Wing of Pierce Hall,” Wilson said. He said that phase two will focus on the center and south wings, mostly in the sense of mechanical, electrical and plumbing upgrades. Wilson said that the research labs in the North Wing will be reconverted into instructional labs, meant to be used by students for lab-based classes, such as those required by Chemistry classes; “additional labs are required as a result of enrolment (sic) growth,” Wilson explained. He later mentioned in an email that the newly opened Multidisciplinary Research Building (MRB) offsets any loss of research as a result of the renovations. “We expect phase one to be completed by December,” Wilson said, noting that construction is starting now “so that completion coincides with the winter break (for winter 2020) which will allow for shifting of instruction” from the Center Wing to the North when phase two begins. As a result of the renovations the North Wing is taped off inside the building and fenced off outside. But a source that requested anonymity from Highlander Printing Services pointed out the operational difficulties that this causes both Pierce Hall and the Services building. “A receiving team came to get cylinders from the North Wing, but because it’s fenced off the delivery cars have to park by the Bookstore bay and walk things over manually,” they said. The commenter also pointed out that because of the fencing, printing services now has no access to dumpsters that were situated outside of the north wing; as a result printing services is currently leaving cardboard boxes and other large scrap piled up in the back of the services building. 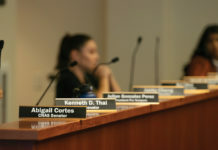 Wilson agreed that the campus would be affected negatively by the renovations because “that’s the nature of construction,” adding, “There will be times where dust and odors will fly around while people are in the building, and there’s going to be construction traffic back and forth.” He added that because of utility work, the other wings and even sidewalks outside will eventually be closed off too. 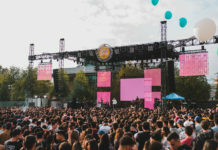 Rohan Joshi Kamath, a third-year cell molecular developmental biology major, pointed out the problems of human traffic that the modulars’ fencing has created. “Because of the fencing all the traffic is directed right in front of Subway and behind the Coffee Bean; and that way was already cramped enough. People with skateboards, scooters and even golf carts go through that area all the time, and now it’ll be more congested,” Kamath said. The modular buildings are expected to stay up until the project’s completion, stated by Wilson to be accomplished within two years. An online Pierce Hall newsletter states that Phase Two is expected to be finished specifically by September of 2020.